"Sending You a Little Christmas" is the first holiday CD from Johnny Mathis in more than a decade. Image courtesy of Columbia Records. ONE of the voices most associated with the holidays is that of Johnny Mathis. Fans can turn to the venerable and classic “Merry Christmas,” or “Give Me Your Love For Christmas.” Both will please a body who has a love jones for Christmas carols and holiday music. In a word, “Sending You A Little Christmas” is smashing. In another word, it is tender. In yet another word (or phrase), it is a classic in the making. (See video at right of the title track). By the by, JM is 78, and 78 is the new 50. He looks fantastic and his voice is simply sublime – seriously. It is as clear as a bell, buttery as a luxurious leather and as light and delicate as mille-feuille. Any changes are imperceptible, dating to “Merry Christmas,” which was released in 1958. On “Sending You a Little Christmas,” JM sings the seasonal favorites. But there is a hook: he has company on these familiar ditties. Indeed, “Sending You a Little Christmas” is the first holiday album featuring duets released by this son of Texas. 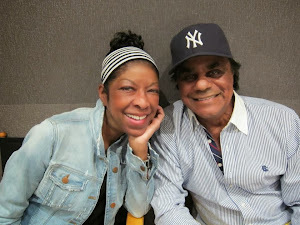 Natalie Cole and Johnny Mathis take a break from recording "Sending You a Little Christmas." Photo from Johnny Mathis Facebook page by Fred and Aaron Mollin. Guests include Natalie Cole (“Have Yourself a Merry Little Christmas”), Gloria Estefan (“Mary's Boy Child”), Amy Grant and Vince Gill (“I'll Be Home for Christmas ), as well as Billy Joel (“The Christmas Song [Chestnuts Roasting on an Open Fire]”). Good stuff; fun, fun fun! On seven of the 12 tracks, JM has company. Another nice hook is that the remaining five are songs he has not previously recorded such as “Decorate the Night” and “Count Your Blessings (Instead of Sheep).” In JM’s hands, both are delivered with an immediate authenticity of emotions and a superior tonal quality. 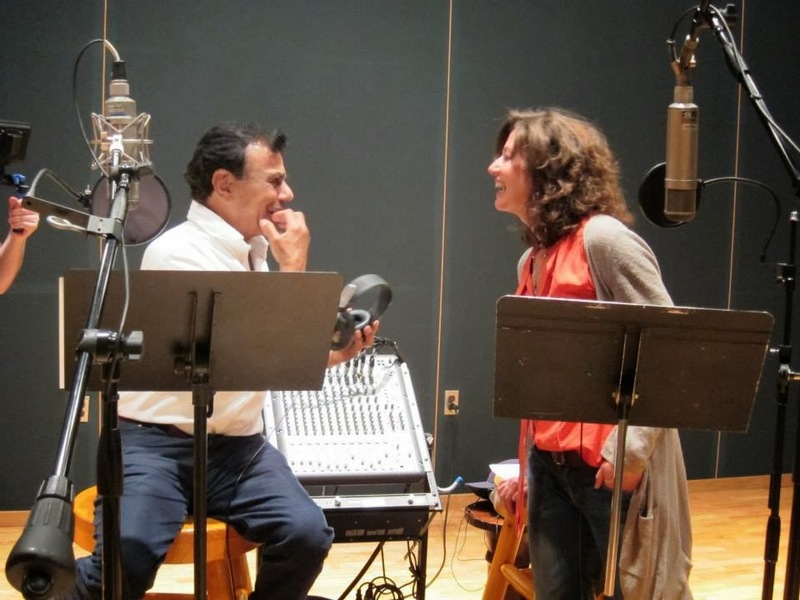 Johnny Mathis and Amy Grant laugh it out in the studio during the recording of "Sending You a Little Christmas." Photo from Johnny Mathis Facebook page by Fred and Aaron Mollin. Of the classics, “I’ll Be Home for Christmas” is the most affecting. The trio offers it in a slower-than-normal tempo, bringing to the fore many emotions – longing, apology, yearning. Fred Mollin’s guitar on this track may provoke tears. Good stuff; fun, fun fun! 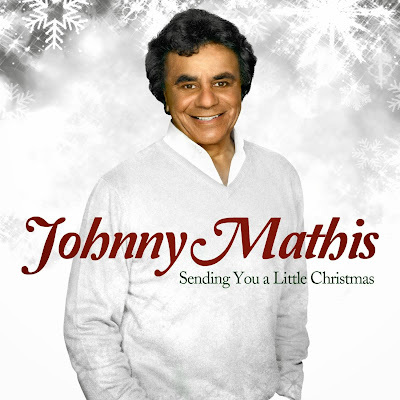 Visit http://www.johnnymathis.com/ to learn more about “Sending You a Little Christmas,” including purchase information.